With the Indian Government urging the citizens of India to become more aware of the constitutional rights, many people are now better aware of what methods of redress are available to tackle a wide range of crimes that range from corruption to child labour. One such way of ensuring the criminals get what they deserve is by filing public interest litigation matters with the court. The best part is, as it is in for the benefit of the society at large, most law firms in India do not charge anything for providing their services to the complainants and still do their best to ensure justice is served. The case may be related to politics, crime, corruption, education, scams, religion, obscenity, law, military, companies, etc. The list is endless. 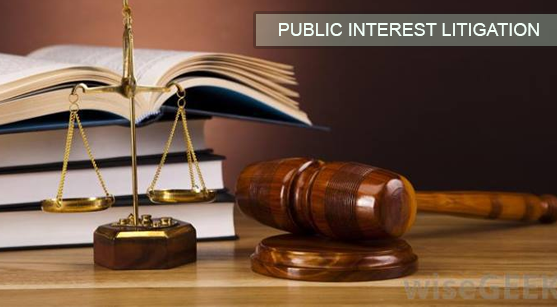 Any issue that affects a large section of the public and which they are determined to set right within the legal framework of the country can be resolved by lodging a PI suit in the court. There are many advocates in India who offer their pro bono services to clients, who wish to raise such matters. The opponent may be a person of very high political or social status or may be a commoner. But, in the eyes of the law, everyone is the same and they are tried as such. In matters of PI, compensation may not always be the end result. Just an acknowledgement by the person committing the crime and an apology may be all that is required by the people prosecuting him/them. Even, if the advocate does not charge a fee to fight the case, it his duty to provide the same amount of care and diligence he would have given to a paying customer. Advocates in Chandigarh is proud to have provided such services to many people and organizations to this date. The success rate in such cases is quite high and we are happy to offer their services to make the country a better place to live in.